An awesome mum of two, Krista, has tackled some of the biggest challenges life can thrown your way and is currently sitting 8th in the individual fundraising leaderboard for The Sun-Herald City2Surf presented by Westpac. Krista’s hurdles range from her own personal health issues, her younger brother, passing at 16 years of age, owning a small business, running a farm and finding enough time to train in between looking after her kids. Talking to Krista, you can hear the vibrancy in her voice and you know that she is a ‘glass half full’ kinda gal. Krista is using her voice and love of running to share an important message with you, “Life is too short to not take on challenges. Finding an event that interests you and linking it to a cause close to your heart will both allow you to make a positive difference in the world and push you to achieve your goal”. 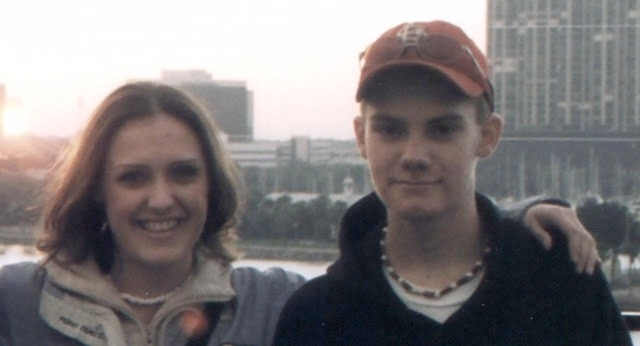 “My brother was diagnosed with acute undifferentiated leukaemia at the age of 16. He was at the peak of health, active in sports, and looking forward to a future with endless possibilities. His illness took him from a busy, socially active, sport enthusiast to a very sick man shockingly quickly. We lost him nine months after diagnosis, as my mother says, the same time it took to bring him into the world, cancer took him from us. He endured chemotherapy and radiation that made him so unwell he was only able to leave the hospital once, a bone marrow transplant that saw us relocate to another city away from his friends, and an ICU ward that isolated this young man so encompassed by being a typical teenage boy. CanTeen provides a vital service assisting young people and their families through their cancer diagnosis and treatment. They are that support network that is crucial for young people during the hardest time of their lives. Krista describes CanTeen as providing that “glimmer of hope” that her family and so many others need. Last year, CanTeen provided intensive support to around 5,000 young people affected by cancer and helped guide an additional 66,000 people through the challenges of cancer through their youth-friendly information and resources. Feeling shocked and warmed to the soul, Krista has shared how her fundraising journey has gone so far, “being from Canada originally and having my family and close friends far away, social media has allowed me to share with them. I think if you feel truly passionate about something and allow others to see the personal side, those that know you and care will always support”. So far, Krista has fundraised over $2,400 for CanTeen and is climbing day by day. If you would like make a difference like Krista there are a few ways you can help! Donate to CanTeen via Krista as an Everyday Hero and share it on facebook. Become a City2Surf Charity Superstar and have your entry fee waived! Start fundraising, donate to a cause and/or find a friend or a team. For more information on CanTeen please visit their website here. For more information on City2Surf and how you can make a difference visit us, here!